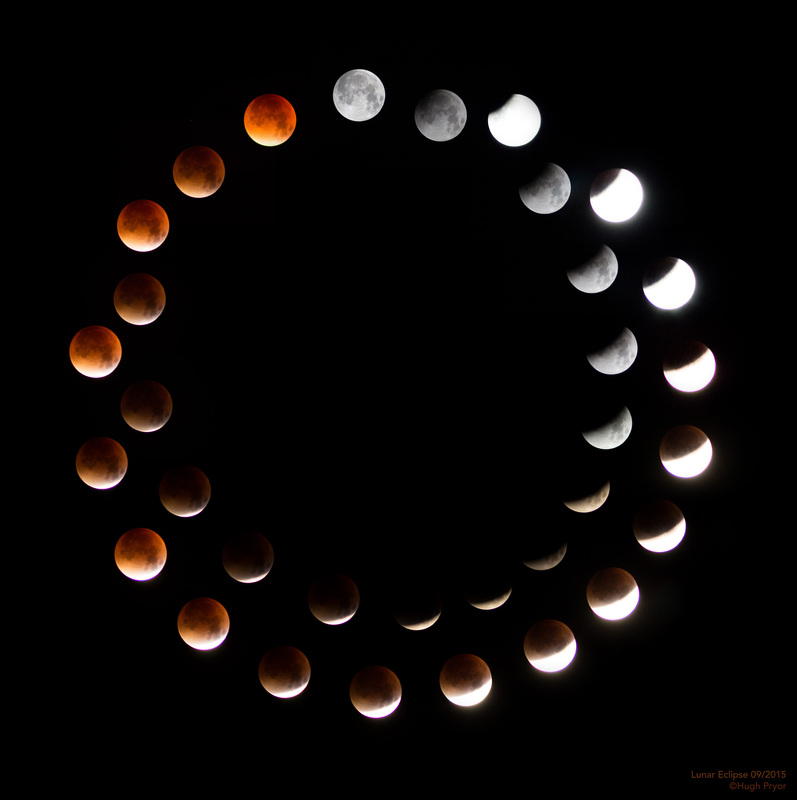 This lunar eclipse composite was taken between first contact and sun-earth-moon syzygy on September 27th 2015. I took over and under-exposed images and composed them in a double ring. I’ve only once photographed a lunar eclipse before but this time I stayed up half the night from penumbral encroachment until full red eclipse. I would have stayed for the rest of it but fatigue and realising I had a school day the next day sent me to bed. I had two sets of photos – overexposed and underexposed so I’ve put them in two separate orbits… I think it works!